Agriculture is Very Important in Brandon. From the traditional to the non-traditional — We’ve got farmers and growers making a living from what they produce as well as for hobby. We’ve got alpacas and emus. Cows and goats. Maple syrup is produced at many sugar shacks around town. Strawberries are ripe and ready in early summer and the corn is perfect at every B-B-Q. Blueberries grow up the hill and artisan cheese is made around the corner. Flowers abound and several nurseries are well-stocked. Each Friday from Memorial Day weekend through Columbus Day weekend from 9 am – 2 pm, Central Park becomes alive with Brandon Farmer’s Market. Vendors sell the freshest produce, breads, jams, honey, maple products, and crafts. What says Vermont more than maple syrup? Right down Route 7 on the Brandon / Pittsford border sits the New England Maple Museum. The museum offers a trip through over 200 years of maple sugaring history starting with the Native American discovery that maple sap cooked over an open fire produces a sweet syrup. Today, the sweet aroma of sap permeating the air, still harkens the arrival of spring in Vermont. And a tour of the New England Maple Museum brings it all to life. gift shop with a wide array of maple treats. 802.483.9414. A couple of vineyards are yielding delicious grapes and Neshobe River Winery is producing award-winning varieties. 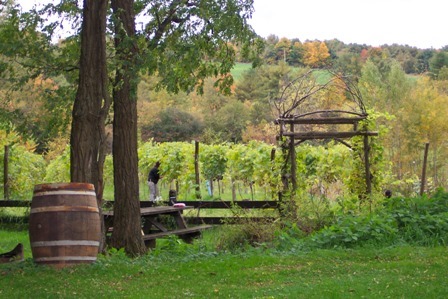 Both Neshobe River Winery and Otter Valley Winery operate their own wine-tasting rooms. Several growers are members of NOFA which certifies them as organic. Each Friday from Memorial Day weekend through Columbus Day weekend from 9 am – 2 pm, Central Park becomes alive with Brandon Farmer’s Market. Vendors sell the freshest produce, breads, jams, honey, maple products, and crafts. 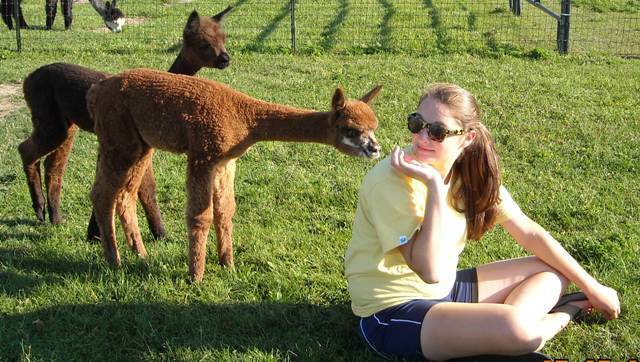 Located north of Brandon is Maple View Farm Alpacas, which specializes in alpacas. Come learn about these gentle, intelligent creatures then browse the farm store, which features garments, accessories, yarns and toys made from luxurious alpaca fiber. Farm visits are by chance or by appointment. 185 Adams, Brandon. For more information, call 247-5412 . Wood’s Market Garden explodes with color each spring! Enjoy a taste of Vermont farm fresh at Wood’s Market Garden . Wood’s is a fruit, vegetable & flower farm and seasonal market who’s fields have been producing fresh food for the greater Brandon community for over 100 years. The farm consists of 150 acres of Vermont farmland and woods. Known far and wide for our delicious sweet corn and plump, sweet strawberries, they also grow over 50 kinds of vegetables and fruits on 60 acres of sandy loam soils. They began growing organically over ten years ago, and along with our field production, they have seven greenhouses for raising bedding plants, ornamentals, vegetable starts and the tastiest early tomatoes in the state! On Route 7 South, “By the Pond”; 802-247-6630. Vermont Fiber Mill and Studio, LLC is a fiber production mill and fiber education center located at Maple View Farm Alpacas in Brandon. VFM&S processes fiber from the farm as well as for other Vermont and regional fiber producers. VFM&S also sells finished goods as well as provides fiber related workshops in its Education Center. The equipment used in the mill is a smaller version of that used by industrial mills. Through a process of washing, picking, separating, carding, spinning and plying, the mill can create batts, roving, yarn, felt and finished fiber goods. Mill tours will be available starting July 1, 2012.